Dialogical Logic was suggested at the end of the 1950s by Paul Lorenzen and then worked out by Kuno Lorenz. The basic idea f the dialogical approach to logic, inspired by Wittgenstein's "meaning as use", is that the meanings of logical constants are given by the norms or rules for their use; and it provides an alternative to both model-theoretic and proof-theoretic semantics. 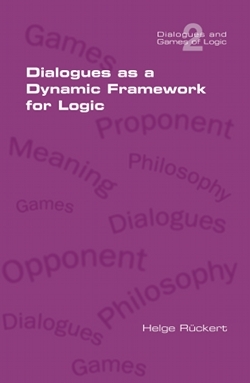 The dialogical approach to logic is not a specific logical system but rather a rule-based semantic framework in which different logics can be developed, combined and compared. In fact, in 1997 Shahid Rahman and Helge Rueckert started to develop the framework far beyond the initial work on intuitionistic and classical logic and applied the dialogical approach to various non-classical logics. The present book contains some of the most important papers that started this development.